The Cisco DHCP server feature is a full implementation that assigns and manages IP addresses from specified address pools to DHCP clients. After a DHCP client has booted, the client begins sending packets to its default router. The IP address of the default router should be on the same subnet as the client. The client send a DHCPDISCOVER in broadcast to find a DHCP server. The server sends a DHCPOFFER to the client in unicast. In this phase the DHCP server sends a proposed configuration to the DHCP client. The clients sends a DHCPREQUEST in broadcast, if the clients finds the offer agreeable. Why in broadcast? Because the DHCPDISCOVER sended by the client might have reached more than one DHCP server. If there is no conflict with the ip address, the client can ‘autoconfigure’ the NIC. 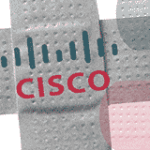 debug ip dhcp events: Report address assignments, lease expirations, etc. The Cisco DHCP server feature is a full implementation that assigns and manages IP addresses from specified address pools to DHCP clients.